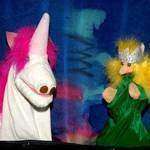 Puppet shows and puppet making at your school or party. Great Easter shows. 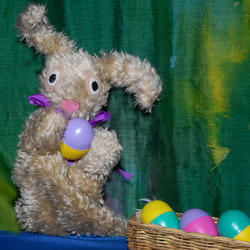 Inbox me for the current puppet shows list for Pre-and Primary schools, or the shows/puppet making list for parties. Book now! Choose a show to suit your school, holiday programme or birthday party theme, or organize a social responsibility event for your company. 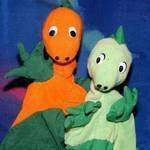 - Puppet shows and/or puppet making workshops for parties and schools. Puppet show, and then make a sock puppet or a figure character puppet. 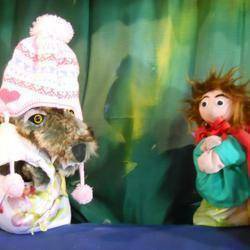 - Puppetry workshops for educators/learner educators/child and youth care workers. New 2019 show: Adventure in Puppetland. Birthday Parties (Best from age 4): Choose two shows for your party from a list of over thirty shows, or one longer (40 minute) show. Themes include animals, dinosaurs, princess, fairies, mermaid, circus, bugs, transport, nursery rhymes, bears, unicorn and pirates! Some traditional puppet stories also available. List of shows available on request. Puppet Workshop option at your party: This consists of a short puppet show, and thereafter each child makes their own sock or character puppet. Send your friends home with a present that will bring them hours of fun. For the puppets, the birthday child is the special star. At the end of the second show, there is always a birthday surprise from the puppets. Sensitivity to little ones who may be nervous about puppets! Plenty of participation, drama and excitement. Educational and entertaining shows that encourage creative thinking and problem-solving. Choose from a list of over fifty shows. Themes include: Importance of Trees; The Changing Seasons; Me, Myself and I; Care of the Environment; The Five Senses; Safety; Conflict Resolution; Animal Homes, Winter Wisdom; Transport; Pets and Pet Care, and many more! Shows last about forty minutes and often include a song, incorporating the main elements of the show, which the children learn. Song words printed out for use of educators as follow-up and revision. List of 2018 shows available on request. Book a puppet show for your school's special event: Orientation/New Grade One's Party; Valentine's Day; Mothers'/Fathers'/Grandparents' Day; Puppet show at your storytelling evening (pyjamas, teddy-bears, hot chocolate); Parents' evening/AGM/Open Day/Fund-raising Event; Book Week. 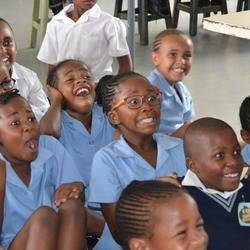 The learners watch a short puppet show, and then make their own bright, colourful puppet. The workshops are carefully structured, and well organized. All materials provided. Duration: approximately one and-a-half to two hours, but may be flexible according to the needs of the school. Incl high schools and colleges; social workers, community workers, child and youth care workers. Tailor-made workshop according to your needs. 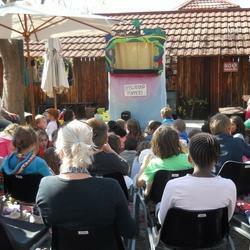 Puppet shows for corporate events; shopping malls; end of year party; family fun day; social responsibility event. AGM, workshop or team-building gathering. Schedule a surprise visit by a large, colourful, outspoken puppet who knows the ins and outs of your organization. This is a unique idea in entertainment! A touching twenty minute ice-breaker that will relax participants and set the tone for an open and productive meeting or workshop. Also ideal for Boss's Day, Secretary's Day, staff-members' birthday surprise, welcome to a new CEO or farewell to an old favourite. design and puppet making, as well as scripting. Organisations that have worked in partnership with Spellbound Puppets, or commissioned puppet shows include: Jhb Housing Company,Johannesburg Zoo, Rand Water, Delta Park Environmental Centre, Amnesty International, NICRO (Crime prevention), SANTA (Tuberculosis awareness), WCRP (World Conference on Religion and Peace), Witwatersrand Mental Health and many others. The travelling fee is up to 20 km. If the distance is greater, a little extra will be charged. We had Spellbound Puppets at my 6yr olds party recently. The children loved the show but also the option to make their own puppet afterwards. This kept them busy for the afternoon - and they had chance to try out their puppets in the puppet "booth" before they left! lots of fun! Margaret has regularly performed at our preschool for the past 7 years. She manages to engage from the youngest child to the oldest teacher. We are always "Spellbound" by her gentle, caring personality and the life lessons she conveys via the puppets. The children simply adore her and the puppets!